The case is made from a Pentalic 7 x 10 wire-bound sketchbook, with some of the pages removed. These are replaced by an iPad holder made from foam core and matte board, which should protect the iPad from drops and knocks. A notch at the bottom allows for a charging cable, and an additional notch at the top lets you lift out the iPad if needed. It’s a great, clean build that looks as good as a commercial case, and is more practical. 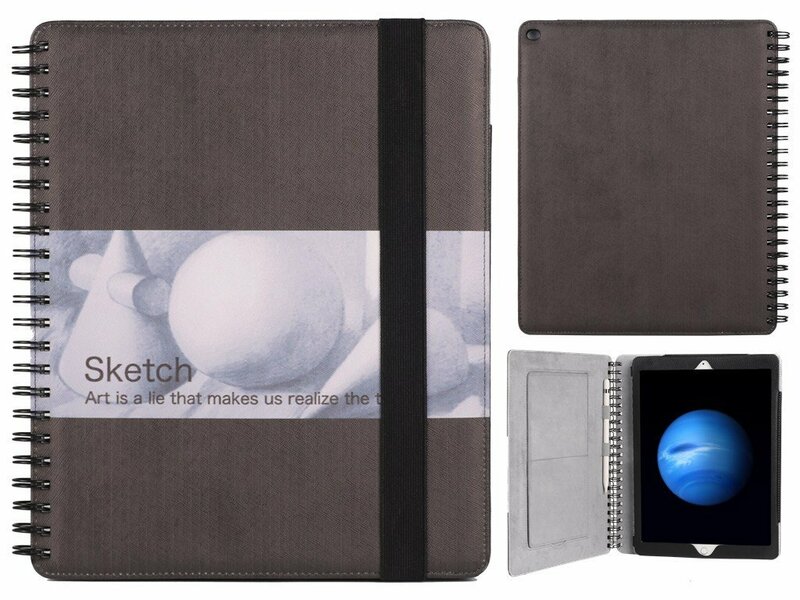 I love the idea of combining an iPad with a sketchbook with removable paper pages: sometimes, you just need that feel of pen or pencil on paper to work. My only suggestion for improvement might be a couple more indentations at the bottom of the iPad holder to allow the sound to escape from the speakers a little better. We’ve seen cool projects from [Eric Strebel] before, including his home-made wireless charger, so his YouTube channel is well worth subscribing to. So if I fold hack a piece of paper into a funnel – could I get featured here, too? Perhaps, however your chances increase if you also put some overly priced (but rapidly aging) piece of existing hardware in it. But seriously now, regarding this project, it does look really nice. Just add some LEDs/ Multiple colors increases odds. What if he put the small end of his funnel onto the part of an Air Bud that emits sound? I think physically modding existing consumer products (even paper products I suppose) fits in perfectly on HAD, and if you just consider this a case mod it isn’t out of place. I personally would like more novel wood working and craft projects featured. Some of the most interesting things I have seen fall in those categories, and translate perfectly to electric and mechanical projects that I work on. Guess that’s why he’s an industrial designer. Aside, I work with iPad minis all the time at work, and while I’m not an apple fan they would fit very well into a book the way he did. I’ve thought about doing the same for an android tablet for sometime, but it hasn’t happened yet. 2019 you will be able to buy these at an Apple store, Apple will make employees sign a contract and condemn and cancel warranty for those using home made or 3rd party cases..
Man, with inside information like that, I suspect you are one of Apple’s Official Press Leakers!